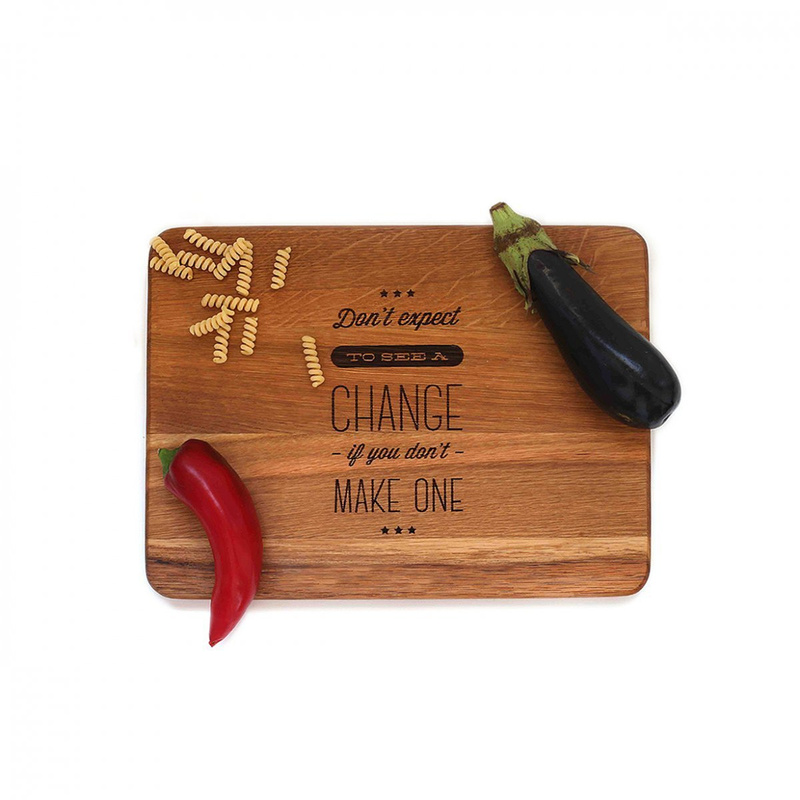 The Change cutting board by Engraved House: a beautiful handmade piece for your kitchen! 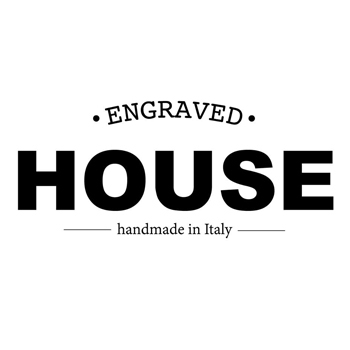 The Change cutting board is one of the protagonists of the collection that the young Italian brand Engraved House has devoted to cutting boards, items that really have a thousand uses in the kitchen and which are a sort of symbol of Italian cuisine. Produced in Italy and exclusively handmade, the Change cutting board has many different features that make it an object of great value, starting with the excellent oak wood used to make it. The shape of this model is classic and quite wide, therefore allowing you to serve different dishes in a modern and contemporary way. However, the most peculiar feature of this cutting board is its front decoration as it features the quote Don’t expect to see a change if you don’t make one, an encouraging and motivating message. But apart from its meaning, this writing is a very valuable addition to the piece thanks to its workmanship. Putting together different types of letters, the quote is in fact engraved by hand, a decoration that reveals the great skill of the artisan who made it. This cutting board, therefore, goes far beyond its purely functional aspect and, when it is not used, can become a real furnishing accessory to give style and refinement to the room. The contrast between the engraving and the light colour of the wood, with its typical veining, makes this cutting board a decorative object just like a pretty picture or wall decoration would be. All the cutting boards by this Italian brand are destined to become real ‘trump card’ pieces in the kitchen, and Change is no exception! 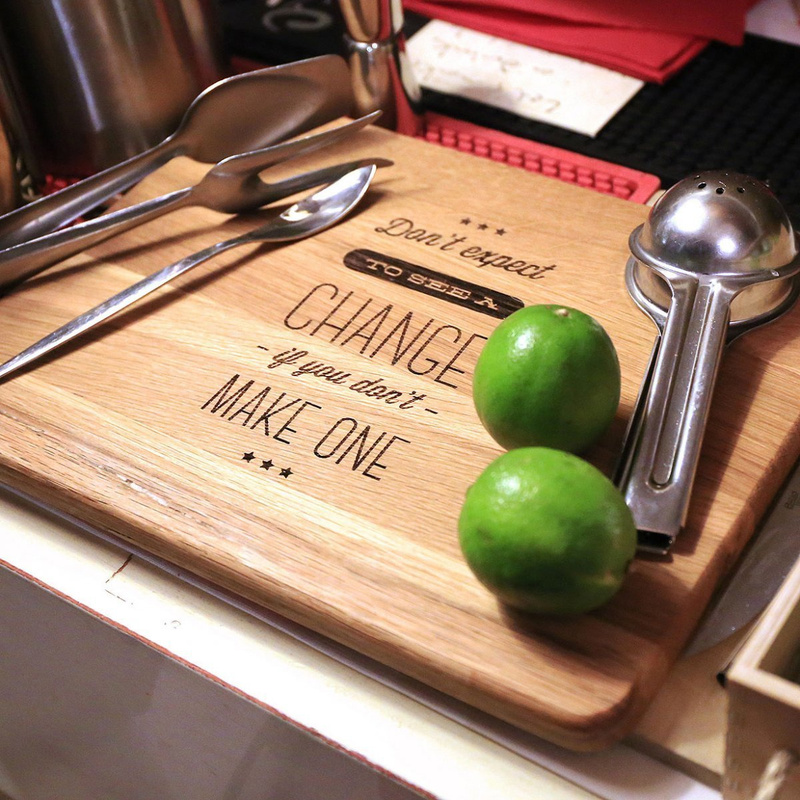 The Change cutting board by Engraved House can also be a great idea for a gift.